According to rumors and leaks, the MacBook Pro 2016 will be coming with a secondary OLED touch screen with app shortcuts for quicker access. However, Apple Inc. has not confirmed this feature officially. As far as second screens in smartphones are concerned, they first appeared in the LG V10, and also in the upcoming LG V20, however, the Cupertino-based company is going to do something new by installing this technology into a laptop. The leaks suggest that Apple is expected to install a secondary screen that would provide contextual features to the user depending on the active app. According to BGR, the second screen of MBP 2016 would be powered by an OLED panel for giving a bright display. Besides featuring shortcuts to apps, the screen is expected to feature date, time and Wi-Fi signal status. For comfortable use, the secondary OLED screen would be fixed on top of the keyboard. In any sort of lighting conditions, whether indoor or outdoor where light might be low or high, the OLED panel will ensure that the screen’s contents are visible to the user. According to University Herald, the Cupertino-based giant has already sent invites for an event possibly for the iPhone 7 on September 7and the MBP 2016 to be introduced not too long after iPhone 7 is launched. Sony is also going to unveil the PlayStation Neo on the very same date as well as Lenovo’s Moto Z Play. Moreover, Motorola is expected to reveal its Moto X 2016 during the last day of IFA 2016 conference to be held in Berlin, Germany. Soon after Apple rolls out the iPhone 7 the MBP 2016 is expected to launch. If the company releases two of its products at the same time, then it is not a good business practice as they company would like customers to focus on purchasing one product first and later the other one. 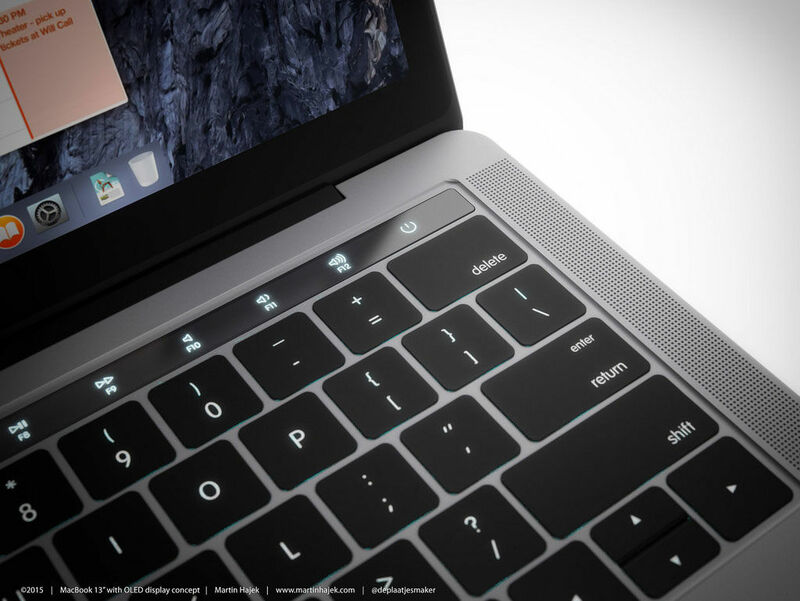 Apple Inc. may also launch another MBP in the form of a MacBook Air 2016. Moreover, to replace the discontinued Thunderbolt displays, the company may also release a new 5K screen. Apple would be official introducing the MacBook Pro 2016 in the coming few weeks so till then, we have to wait.